Check calls are predominantly used to ascertain the safety of people working on their own either out of hours or in a potentially risky or hazardous environment. They can also be used for any other shift in order to regularly force staff to check in during that shift. In order to use the Check Call functionality you firstly need to have SMS & Voice Usage activated for your company to enable clock in/out and check calls via SMS or call. To activate this service contact our customer service requesting this to be activated. You will then also need to activate the Check Calls module on the Subscriptions page. The second step is to make sure that the people have the Phone Access option turned ON - this can be done by going into their profile and switching this option ON. This action will generate a PIN number for them that will need to be used when checking in via SMS or voice call. The code will be only specific to them and will be sent to their email address. The third step is to set up the location for Check Calls. To do this you will need to go to the relevant location's profile, open the Alarm Policy tab and enable the check calls by switching 'Check calls enabled' setting ON. Underneath the Check Calls activation button you will find the Alarm Policy settings. You need to change these to suit your needs and operational standards. 4.1 The first setting allows an officer to make a check call BEFORE the end of the period and you can set this up within the system. You decide how much earlier than the hour you want to allow the officer to make a check call. (The system accepts 5 minute intervals). 4.2 The second setting is for how often you want an officer to check in. 4.3 Within the third setting you need to provide the information on how late after the period you want to allow for the check call to be made. 4.4 In case of a missed check in, the fourth setting will enable the automatic call to person doing the shift asking them to check in before the alert is raised. They will receive an automated voice call notifying them of a missed check in and requiring to check in immediately. 4.5 In the fifth setting you need to provide a phone number for the person/ manager you want to be notified if an officer has failed to check in. PLEASE NOTE that when entering a phone number it NEEDS to include the country code. 4.6 The other two escalation options are optional settings. Either you can enter the same phone number as the first one or enter back up phone numbers in case the first person fails to respond or report an incident or to deactivate the check call. When you are done setting up the Alarm Policy click ‘Update’ to save the changes. Once you have completed the above steps you can start creating shifts. PLEASE NOTE! 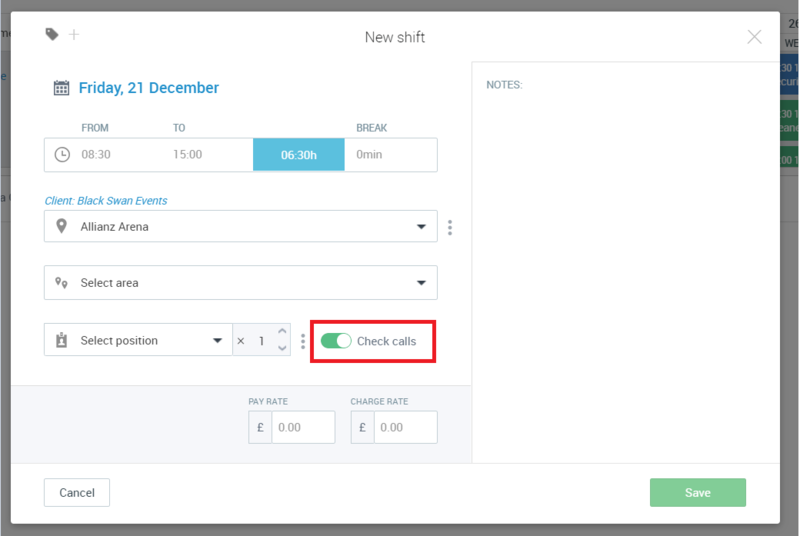 When creating shifts where check calls are required you will need to make sure to tick the check calls option for a particular shift or shift pattern. At the required time window that you have set up in the Alarm Policy the people will be able to do the check in via the following options: App, SMS, Phone Call or on PC. If peole are using PARiM app, push notifications will prompt them that it is time to do the check in. If people open their shift the Check In button will become active during the set time period for them to check in. When a person checks in either via SMS or Phone call they MUST use the phone number provided by PARiM exclusively to your company. In order for the person to make a ‘Check Call’ he or she needs either to dial the number and enter their PIN when required OR send an SMS with the PIN code followed by the 'checkin' phrase. If or when an officer fails to make a 'Check Call' then the first number on your Alarm Policy settings will be notified by a phone call and followed by a message instantly. If the first phone number holder fails to deactivate notifications a warning will be sent to the next phone number you provided within your settings and then on to the next one until it is deactivated. To stop notifications you need to pick up the call and follow the instructions provided by the automated service. This will deactivate the alarm policy escalation and notifications but the officer will still need to check in. After notifications are sent out to all registered numbers the warnings will stop until the next check in period. How does it work on the Time Clock page? 1. 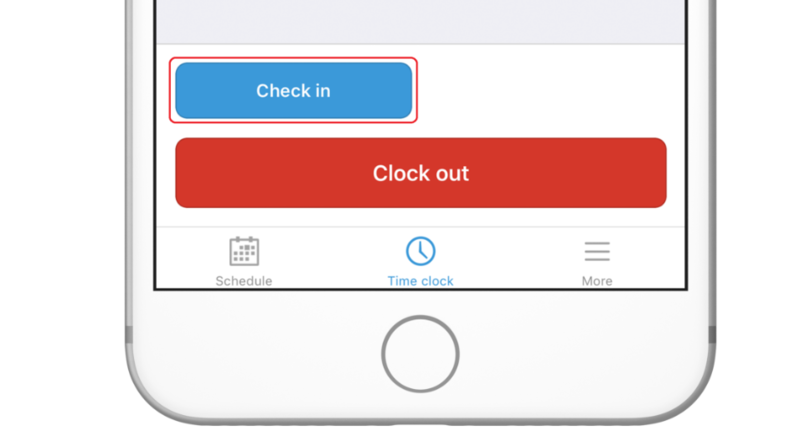 At the scheduled check in time the 'Check in' button will be displayed on the right hand side. 'Check in' = clears all alarms and starts the next period, Time Clock controllers can check the staff in by clicking on it. 2. The second button, 'Confirm alert' will appear right after the first alert call is made and will remain there until one of the numbers confirms the alert or a Time Clock controller clicks on it. 'Confirm alert' = clears alarms, but the staff member still needs to check in or he/she needs to be checked in. If no one confirms, it will remain there. 3. The 'Check in' and the 'Confirm Alert' buttons are visible to superadmin, managers and to the assigned site and department supervisors, EXCEPT in the case where the person who is looking at the page is the officer themselves (this might happen if the worker is a supervisor, for example).